Germany and France don't discuss changes to the civil mission. 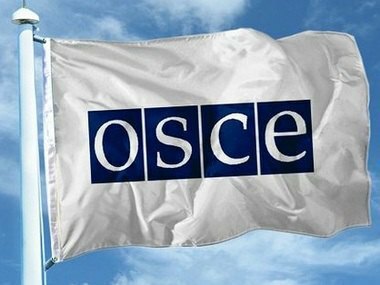 Germany and France do not hold any discussions on the possible armed OSCE mission to eastern Ukraine. The civil status of the observers is a necessary compromise between all sides of the conflict, a spokesman for the German Foreign Minister, Martin Schaefer, said as quoted by Ukrinform. "I can responsibly say that Germany and France don't discuss the changes to the civil mission", Schaefer said. He added the civil status of the monitors was agreed upon by all 57 OSCE members. But Ukrainian President Petro Poroshenko recently proposed to send armed observers to the conflict zone. According to the President, such a mission could help secure the region for the upcoming local elections. "But there is no precedent for the armed observers. And it is difficult for us to imagine what it would look like", underlined Schaefer. The spokesman said this decision would cause "a whole lot of difficult political and military issues". Instead, the European leaders and the OSCE reps considered other possible ways to improve the security situation ahead of the elections. But the sides have yet to reach any concrete results on that matter. Earlier, President Petro Poroshenko declared the upcoming arrival of the armed OSCE forces in Donbas in the nearest future. He said the Russian representatives also supported this decision.